Just now it is an amazing time to be out and about in our native landscapes, which I have been doing over the last few weeks, with work and bushwalking. Our native plants are incredible and many are flowering after the last rains. Sadly I did not take my good camera walking, but nearer town I have and I have been spotting some wonderful flowers and fruits and watching the spear grass change telling us that the seasons were turning. I have been trying more bush tucker and experimenting with it, as it seems to bridge my interests of the native landscapes and yummy local food. There are lots of bush tucker products in Australia, like the famous Tasmanian mountain pepper and salt bush, often used as fancy seasonings, but few come from the Top End, probably as most of the market (and research) is in more populous areas. 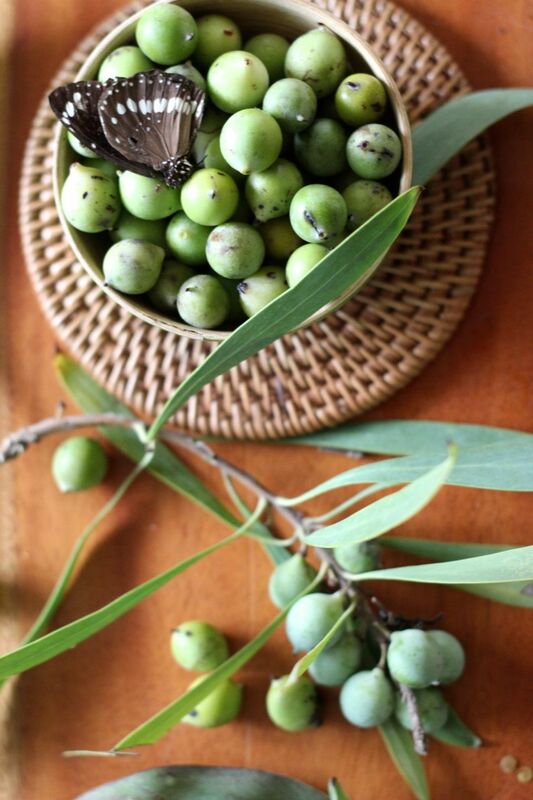 Many of these fruits and plant parts are still collected on country by traditional owners when they are in season. Once again the Kakadu plum or Billy Goat plum are loading their trees in the woodland, the spear grass has seeded and has been knocked down. 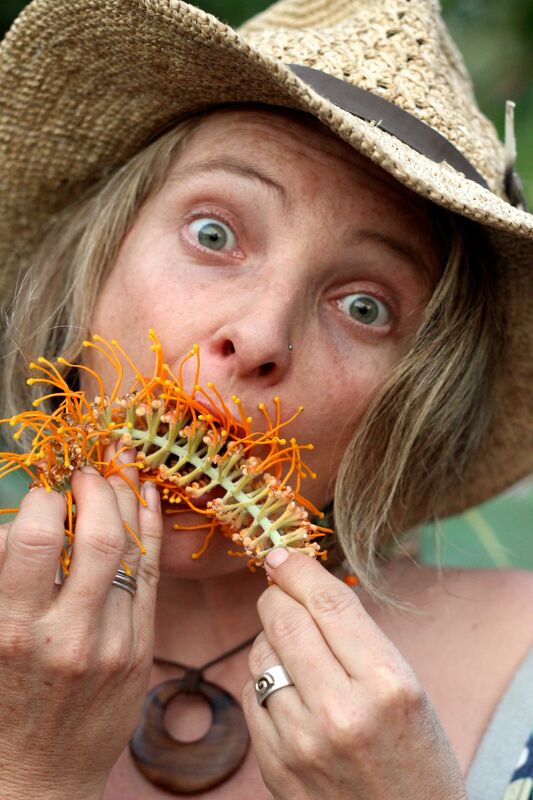 As I pondered all the fruits, I felt I would like to give a list of what I think are the Top ten plants as bush tucker (that I have tried) in the Top End. There are many edible native fruits and flowers that have some form of nutrition and won’t kill you, but a lot taste pretty bad. There are some amazing ones, loved by native animals including birds, mammals and humans. I have given the list in order of (my) preference, but you can get into the bush and try for yourselves! PS. All the photos are taken by me in either the Darwin region or Arnhem land, except for the one of me (taken by my partner) and indigenous words are taken from CSIRO / TRACKS calendars and Plants of the Tiwi / Jawoyn Plants books. 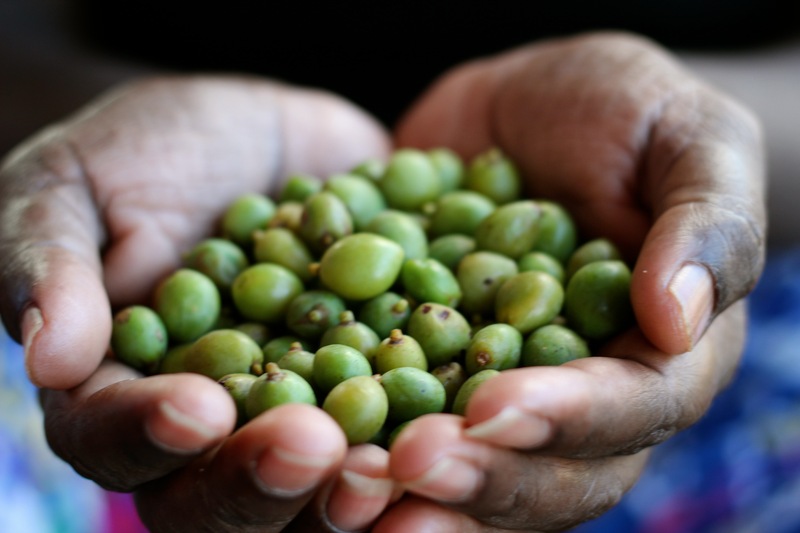 This fruit could be argued to be one of the tastiest bush fruits that we have in the top end. 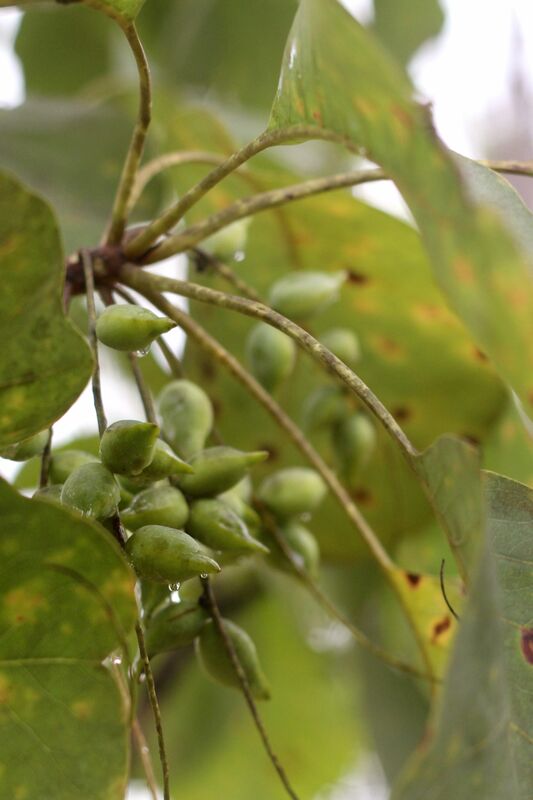 It is a medium tree with smaller rounder fruit than the Kakadu plum (Terminalia) but also found in the woodland. Its leaves are large round and obovate, but variable- they are thinner over in Eastern Arnhem Land and fatter nearer Darwin. The fruit ripen around October and are ready through until December, they have a really distinct taste and are in the Mango family. It is known as Yankumwani in Tiwi, Elu in Malak malak, Kerewey in Matngala, Munydjutj in Yolngu. The Yongul often use a stone to crush the fruit into a paste to feed to older and younger people with less teeth. 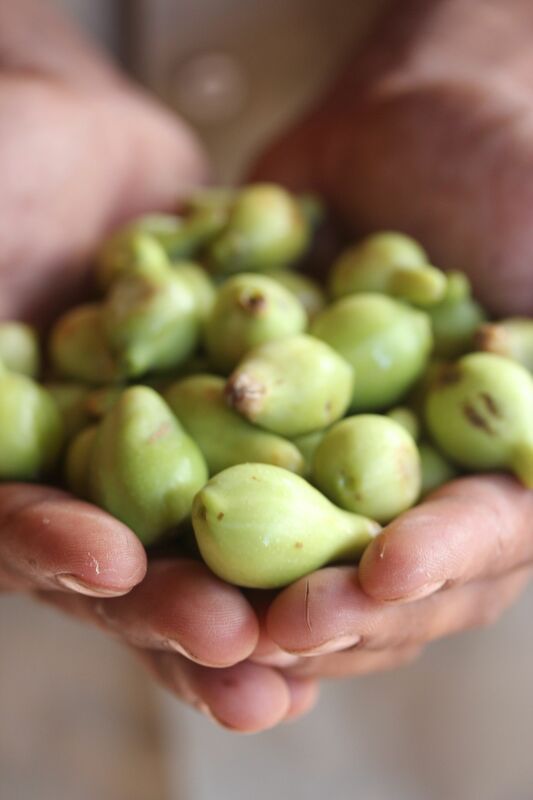 Last year we took the GULP project to look into the potential of this great fruit on a homeland in East Arnhem Land. 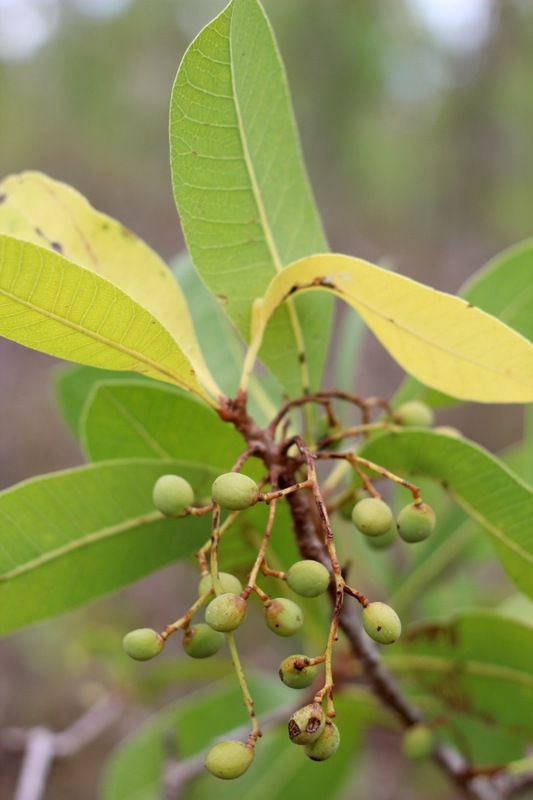 This is also known as Kakadu plum or Gubinge or Billy Goat plum and various indigenous names inlcuding Nghul Nghul, Murunga, Marnybi and Manmohpan. 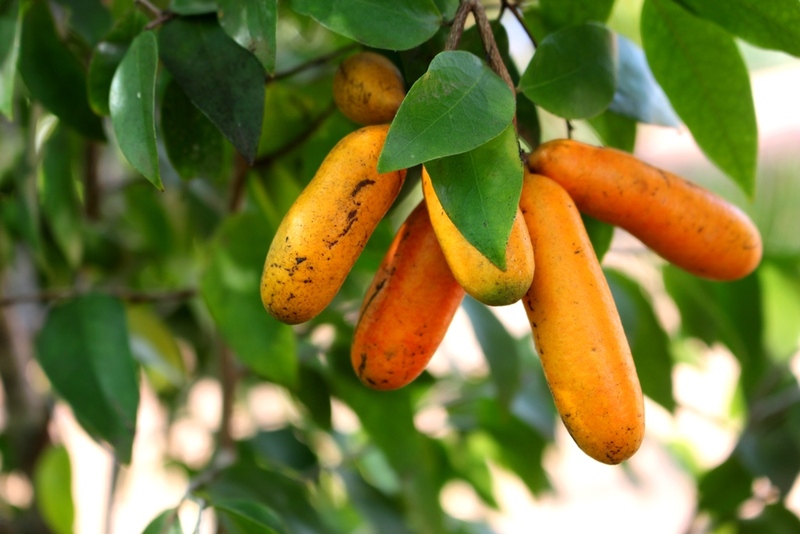 The fruits of this tree reportedly are the highest natural source of vitamin C. The fruits are often made into powder and sold for large amounts at health food stores! We are lucky enough that right now this common tree is fruiting in our back yard. It is a slender tree (up to 25m) found in savanna woodland, our most common landscape type across Northern Australia. 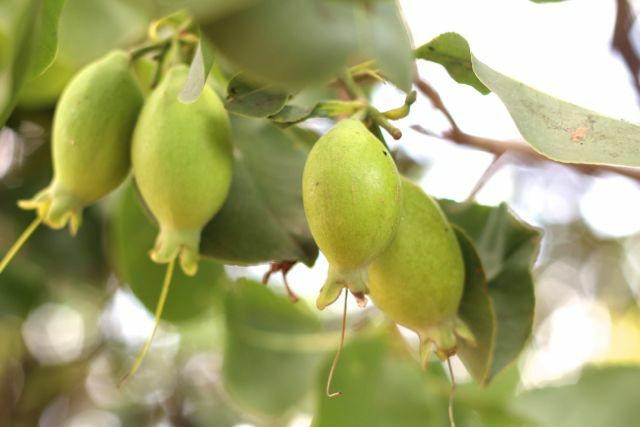 The fruit are found on the trees at the beginning of our dry season (April- May) and are small, about 1 cm long, oval with narrower ends and light green in colour. The fruit are quite sour and ready when they are soft to touch. The fruit can be added to smoothies, made into jam or relish and sauce or pickles, the skin is a little astringent. There are a wonderful indicator of seasonal change! While out bush doing work I have found quite a few fruit, just about to be ripe. I have also planted a tree on my “Native nature strip” but it is not yet mature enough to fruit. If you would like to plant one, you can either grow a tree from seed or buy them at a native plant nursery. 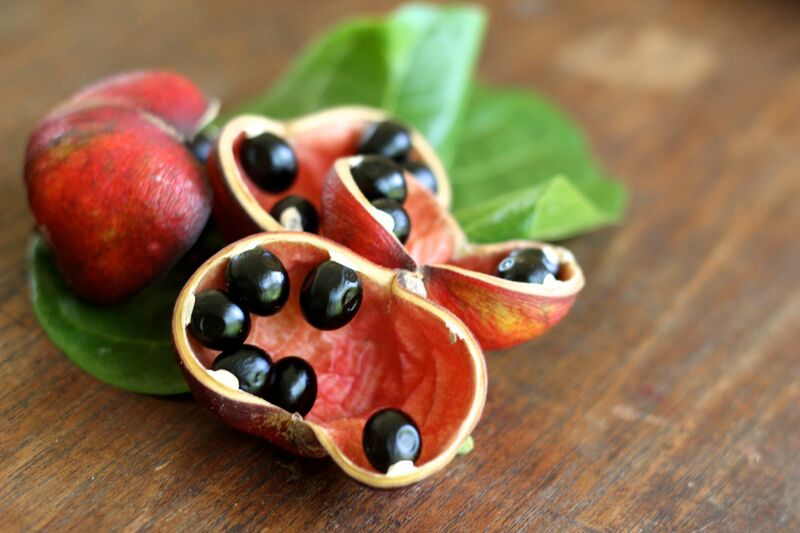 This beautiful fruit is found in the bush in the build up season, Syzygium suborbiculare or Red Bush Apple in English, Bemburrtyak In Malak Malak, Gorokkorokkin in Waigaman, Mindilima in Larrakia, Migemininy in Nauiya and Jaruk in Jawoyn. This fruit comes from a pretty plant that is in the mid layer of open woodland and starts of with shiny oval leaves and red petioles. 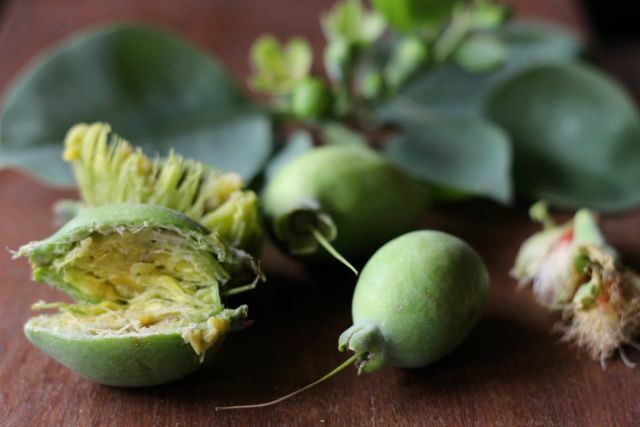 It only fruits at this time of year, but is found across the whole of northern Australia and will catch your eye if you are in the bush, either on the ground or hanging on the tree. It’s a splash of colour amongst the fresh new green growth that is making the rather humidly warm but wonderful woodland landscape look delicious right now. And like many common English names for bush tucker “Bush Apple” makes a comparison to a temperate fruit- but is in the Myrtaceae family, like all our Eucalypts, Paperbarks etc. 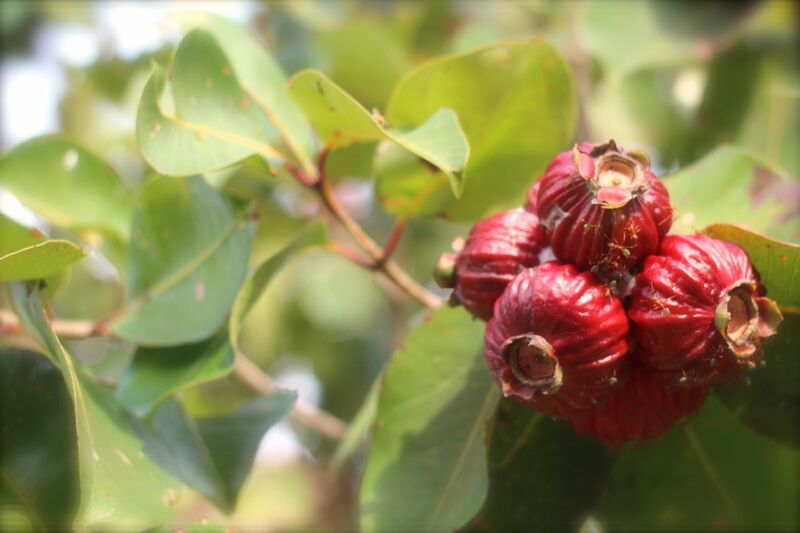 Syzygium genus are a whole bunch of plants often called ‘Lilly Pilly’ and are found all over Australia and Asia and have edible fruit. It only vaguely resembles red of some apple varieties and there the similarity ends. (For your information the cooler loving apple is in the Rosaceae family!) As the fruit is from a small tree, you can pick it from the branches and eat it straight away- the seed is large and only a few mils of flesh is on the outside, which has a fluffy texture on the inner side and a crunchy texture on the outer side with ha tangy flavour, not too unlike a rosella, maybe with a hint of bitterness. 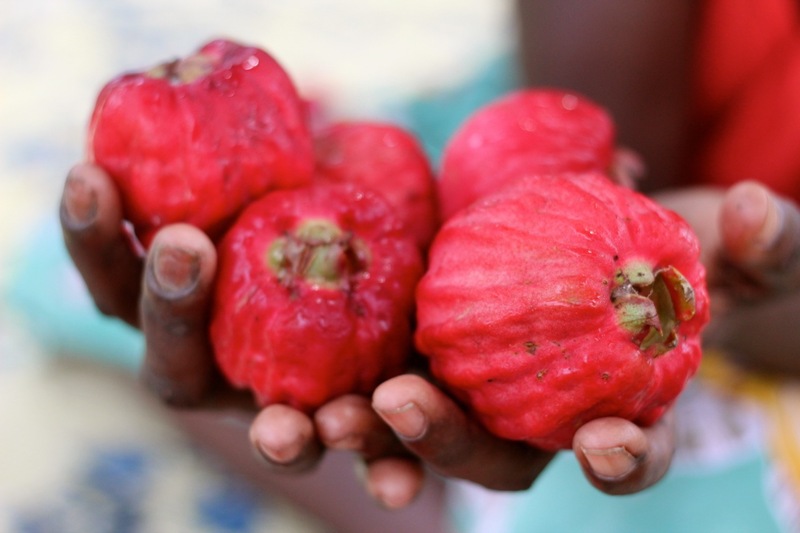 Apparently there is a pink variation on Tiwi which is sweeter. It can be made into a great salad. This native rainforest plant is usually found in monsoon rainforest and riverine margins in the Top End and Western Australian tropics. The plant itself is a pretty specimen, enjoying part shade, part sun and loves water all year around, reflected by its natural habitat as a lower story rainforest plant and growing to just over 2 meters. It has a sporadic distribution, with plants being found near fresh water and most of its distribution being in Central and East Arnhem Land. This plant makes a great ornamental specimen, having quite a symmetrical branch formation with glossy opposite small elliptical leaves and the intriguing looking fruit forms sporadically throughout the year. 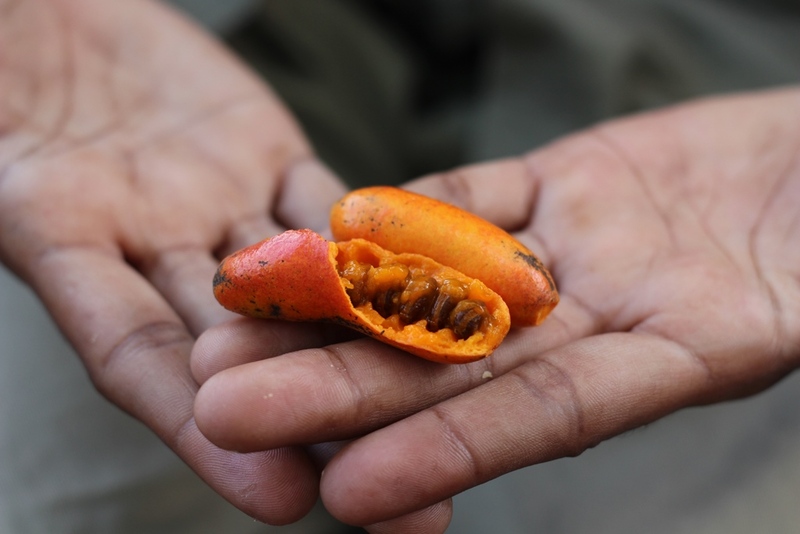 The fruit is one of the tastiest bush tucker fruits I have tasted with a long cylindrical orange to red seed pod containing a sweet fleshy inner and several small round seeds. I have personally only eaten fruit from plants in cultivation, which some people have in their gardens in the Darwin region. The skin of the seed pod and the fleshy inner can be eaten and the taste is said to be similar to an apricot. This can be eaten off the tree, or made into salad dressings or relish, as shown below and enjoyed with local banana cake, made by Grusha. 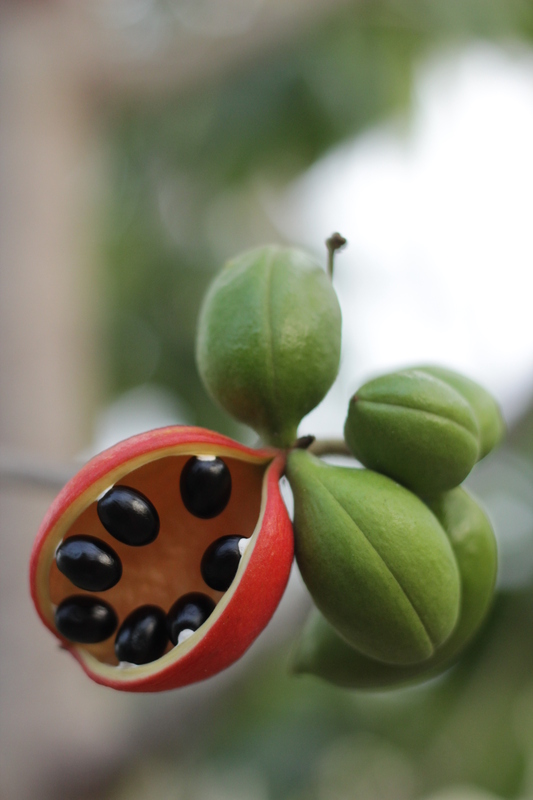 The fruit for certain would sustain bats, birds and small mammals and would probably also have an indigenous history, but I cannot find an language names for the fruit. Peanut Tree– Sterculia quadrifida in the family Malvaceae also known as the peanut tree, is a small tree from 5- 10 m with pretty leaves and very striking deep orange dry oval fruit which split to reveal black seeds. The tree is commonly found in our open woodland in the Top End. It is these seeds which are edible. The seeds really do taste like peanuts- hence the name. The seeds can be eaten raw and there is a little bit of dry papery skin around them which you don’t need to eat. In the Darwin region the fruit seems to ripen during the dry season and into the build up. The tree is known as Dundil in the Larakia language and Malikini in Tiwi. 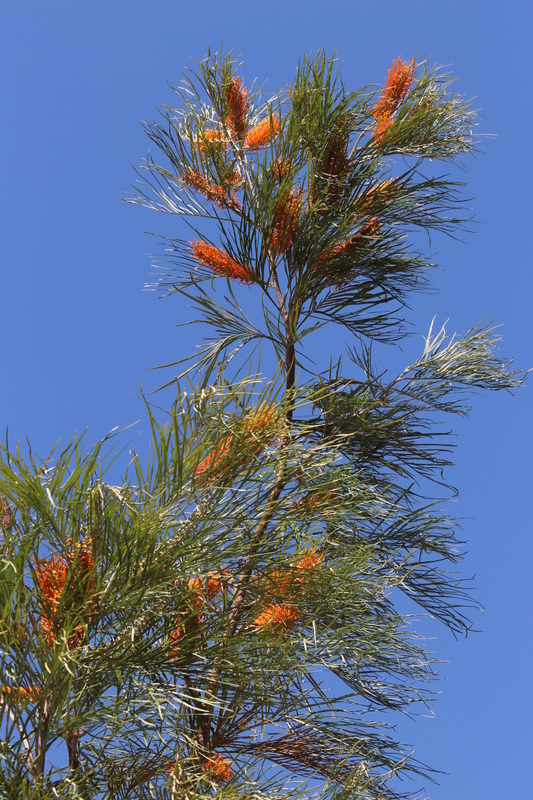 The tree is found across the whole top of northern Australia and in Timor and Papua New Guinea. Cluster Fig- Ficus racemosa is a striking tree found along rivers and in coastal monsoon vine thicket. 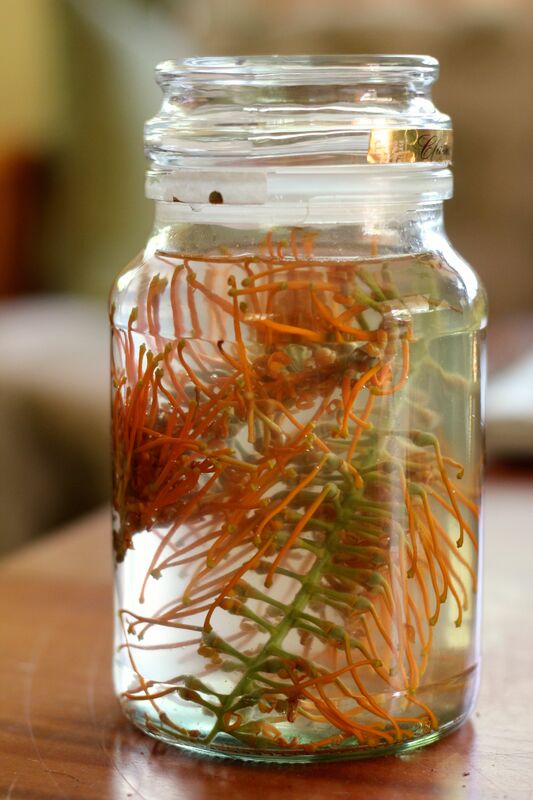 It grows up to 20m and often has multiple branches usually stemming from quite low down. The fruit ripen to an orange colour, from green and grow all along the trees branches in clusters. The fruit is called Ali in Malak Malak, Warwi in Matngala and has always been eaten by indigenous people. 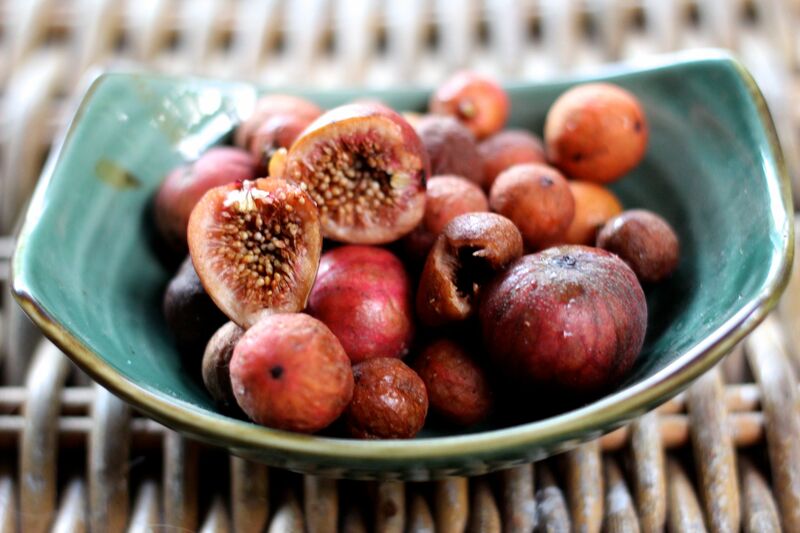 This is probably the best of all our Top End native figs. It still has a fluffy non-descript taste, with a hint of sweetness. I got an idea from a book to make a sugar syrup and slightly coat them in it and this made them pretty interesting. If you are in Darwin and not in the bush there is a big planting of these in a park in Karama. 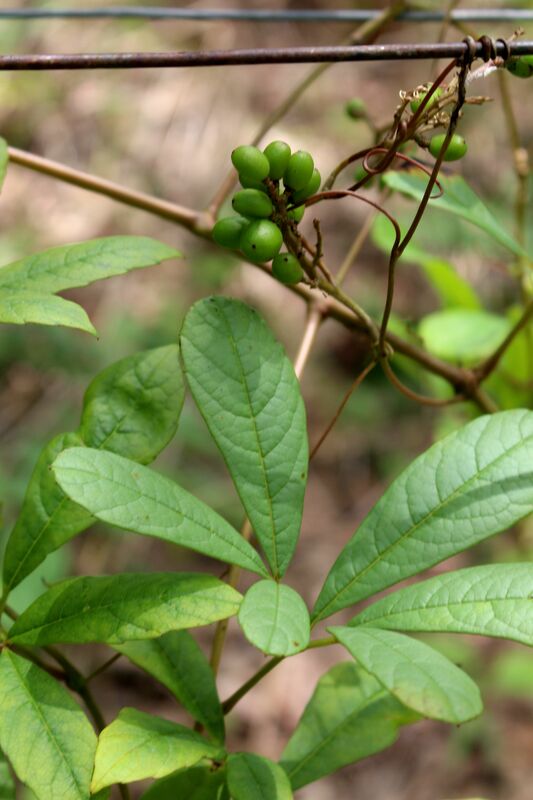 This vine shoots up as the wet season starts and is commonly found not only in the Darwin region but across a few parts of northern Australia, including Cape York. Now don’t get too excited it is not a really fat grape like the commercially grown wine varieties, but it is a wonderful plant that is often prolific in areas of our Savannah woodland that has small edible juicy grape fruit that is ripe now (and is from March to May ish) and yes it really is a grape cousin, in the grape family (Vitaceae). I have been advised that you should not eat the skin, as it is bitter. 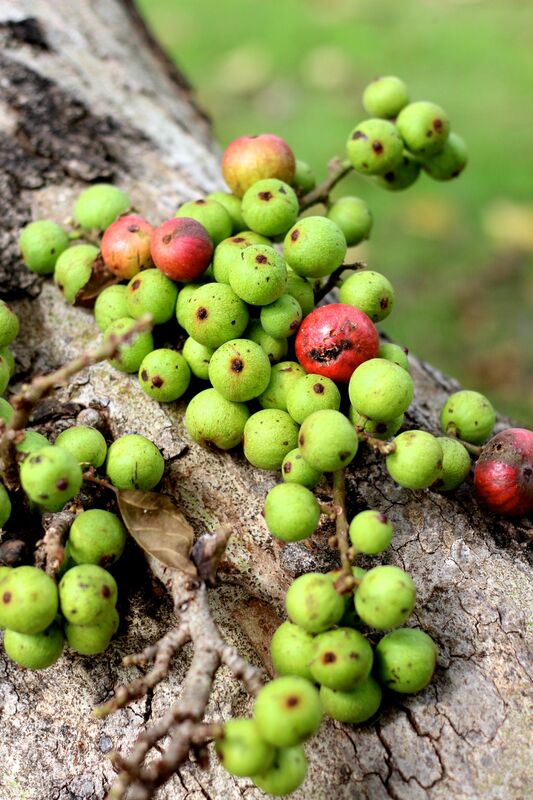 The fruit grows in bunches and ripens from green to black and has a juicy sweet taste, with a little hot or bitter after taste but is perfectly harmless. I have read that Jawoyn people rubbed the fruit first in sand to get rid of the cheeky after taste; I did not try this but I presume you then brush off the sand to avoid a gritty crust! The little grapes each have about three seeds in. This is a common and beautiful small tree/ large shrub with long falcate leaves, that almost look like an acacia and pretty yellow flowers. 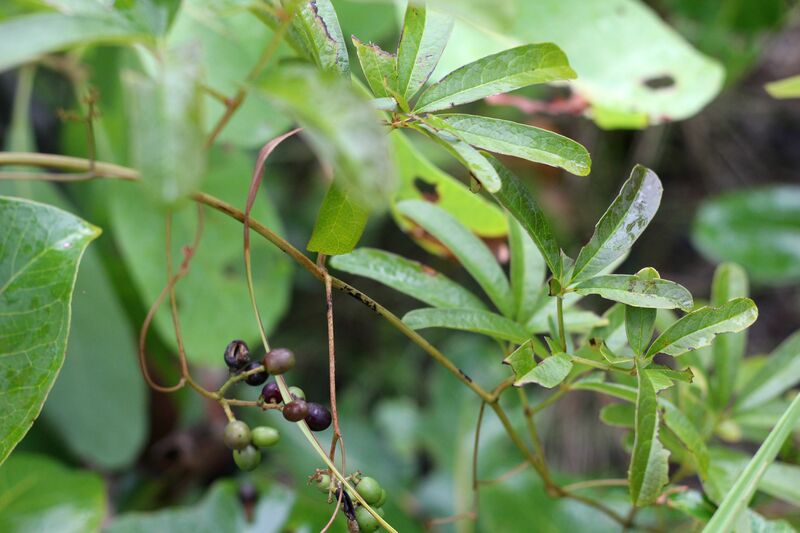 It is known as jimijinga in Tiwi, This plant is found in the woodland and the fruit is ripe at the start of the wet season and through to Christmas time. The fruit are small and very round, juicy and pretty tasty and would probably make great preserves. 10) Fern Leaf Grevillea- Grevillea pteridifolia is a beautiful small tree that loves sandy soil and wet areas in the Darwin region. It flowers in the late dry season and early wet season nearer the coast and flowers a bit more sporadically more inland. The beautiful orangey flowers fill with nectar that attract many birds, like rainbow lorikeets, that almost get drunk on the nectar. When the flowers glisten with nectar they are also pretty delicious to humans and are often sucked on by children, like a bush lolly. The nectar is sweet and fragrant with a malty flavour and the whole flower can be dropped into water to make a cordial. It can also be steeped in hot water to more effectively release the sweet juices and make a honey like juice/ tea that other local herbs could be added to. Previous Post Our native Grape!